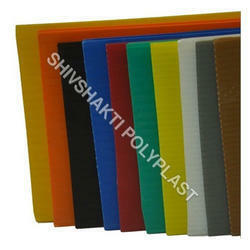 Prominent & Leading Manufacturer from Rajkot, we offer pp sunpack sheet and colored pp sunpack sheet. Owing to our honest business policy and transparent deals, we are steadily making our way to the platform of success by offering a commendable array of PP Sunpack Sheet. Our offered range is available in various colors and sizes as per client's necessities. The sheets offered by us are made using topmost grade PP material and modern techniques. In addition to this, clients can purchase the entire array from us at pocket-friendly prices. 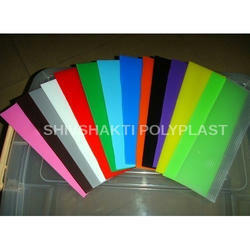 Backed by our flourishing business processes, we are capable in offering a qualitative array of Colored PP Sunpack Sheet. Made using the latest machines and advanced techniques, these sheets are made in compliance with the prevailing market norms and regulations. The products offered by us are available in various sizes and colors as per diverse needs of our clients. Our offered sheets have gained huge appreciation for their flawlessness & premium quality.